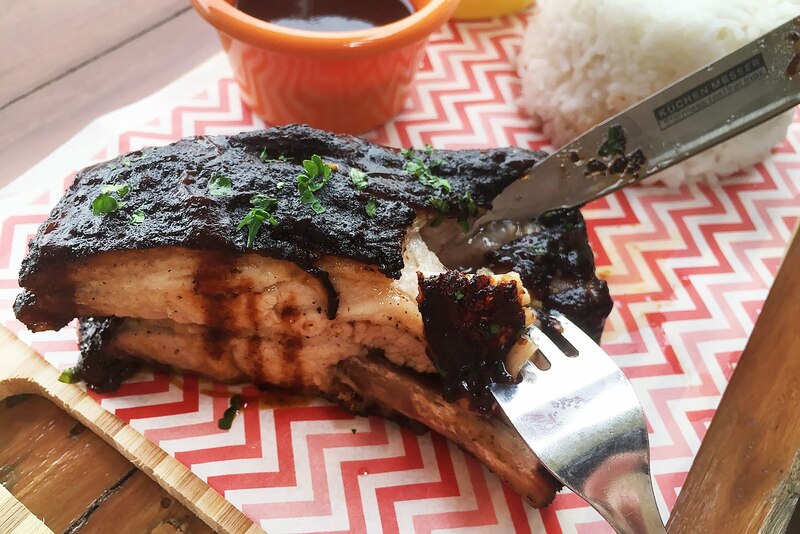 Hey there fellow food lovers, specifically those from the south. 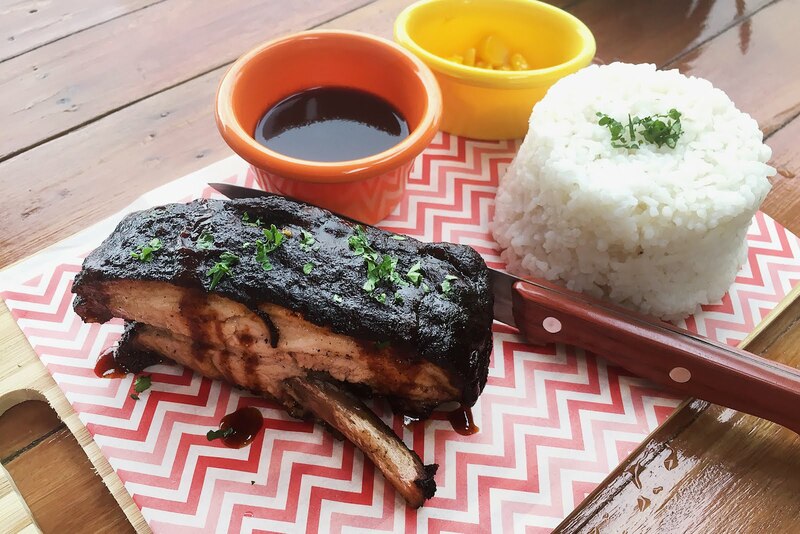 I'm sure you've seen or heard about the newest food destination located in Tagaytay either on your FB feed, from a friends IG post or wherever. 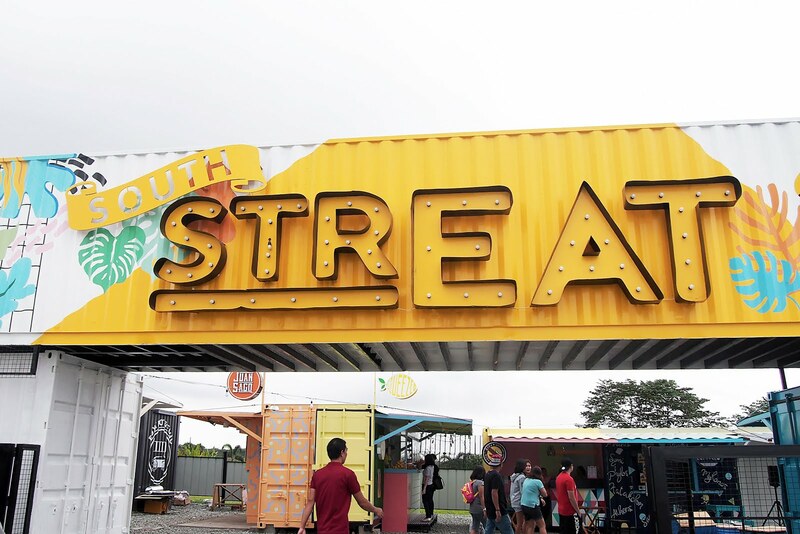 Thanks to the people behind StrEat: Maginhawa Food Park who put up a branch of theirs in the south thus the birth of South StrEat. The place is situated on the right side of Sta. 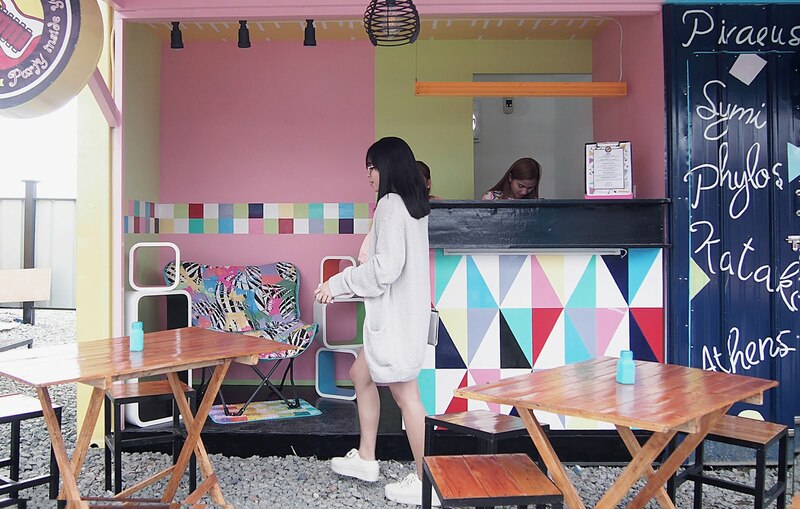 Rosa - Tagaytay if you're coming from Sta. 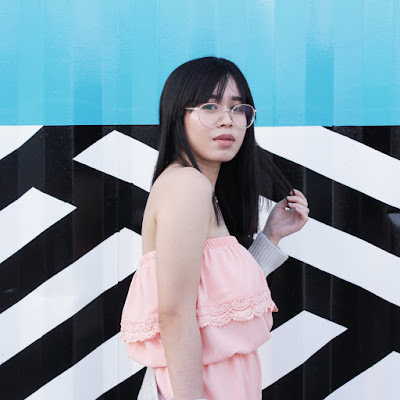 Rosa exit. 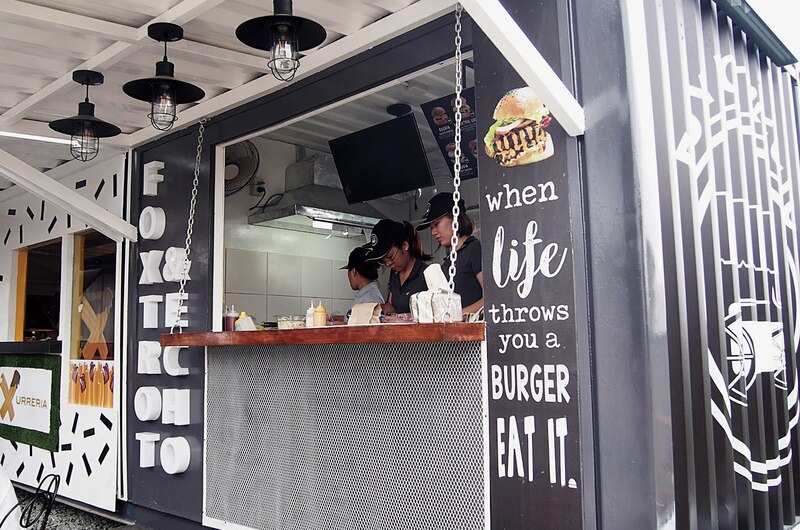 South StrEat food park opened last February. I was there but I wasn't able to work on the post as I planned to. The reason behind is... I'll be honest about it. 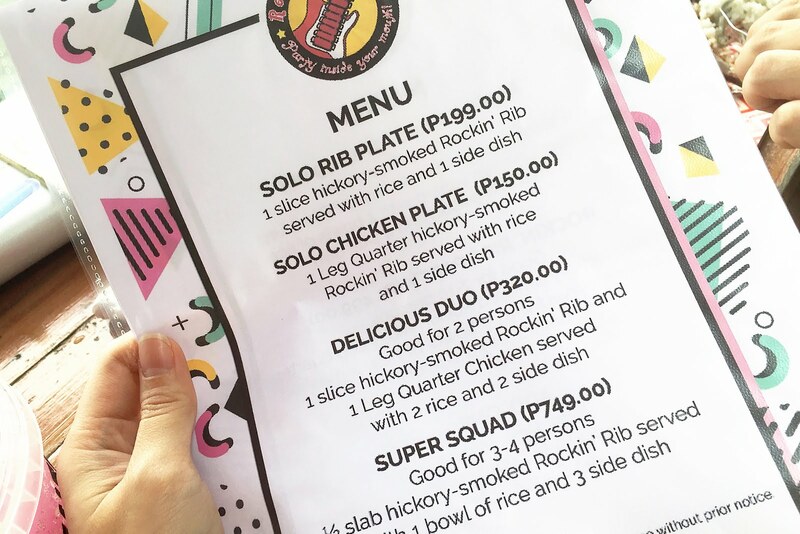 Patrick and I had a fight while taking some of my ootds (don't worry, it happens, couples fight, huhu), we weren't able to try the other food stalls aside from the solo rib plate from The Rockin' Ribs. The mood wasn't really working anymore so we just decided to go home after. (we didn't really go home, we were able patched things up at Vista Mall and ate chicken at Hot Star after, I was hungry!) Huhuhu. So please do forgive me if this blog post is somewhat incomplete. We've already talked about it and we'll definitely go back. 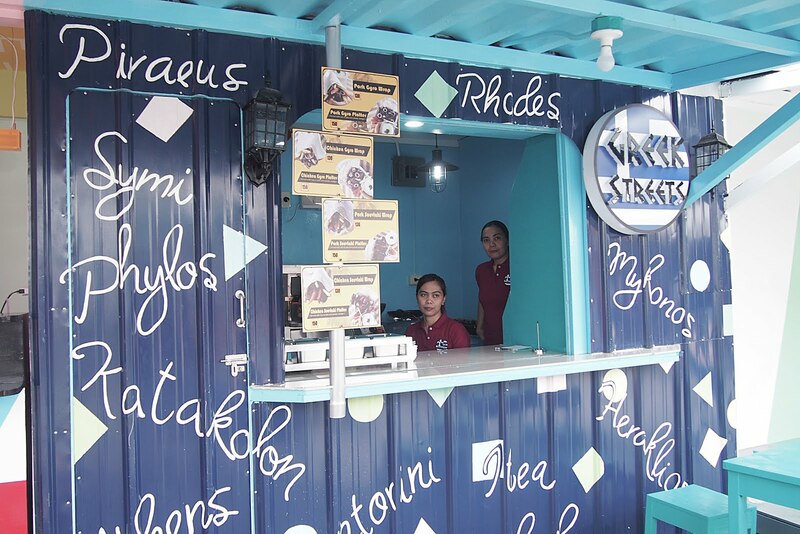 We still got lots of food stalls we want to try. 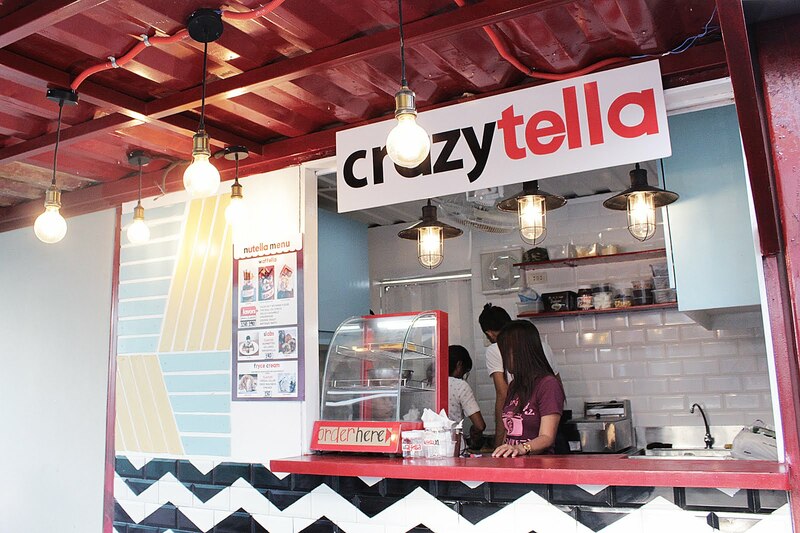 Sigh, I feel so sad not being able to try milkshakes from Crazytella. I will not let it slip next time. Hopefully, after the holy week. You know this lemonade in a bucket was really awesome. I'm amused with the bucket stint. It tasted good. The bucket cost me P180 that more than half of it all went down the drain. Huhu. Well, we took a rest and cooled ourselves inside P's car but when I got out, apparently I slammed the door a quite hard, the bucket of lemonade goodness fell onto the car's floor. (I'm so sorry honey) It wasn't our day! 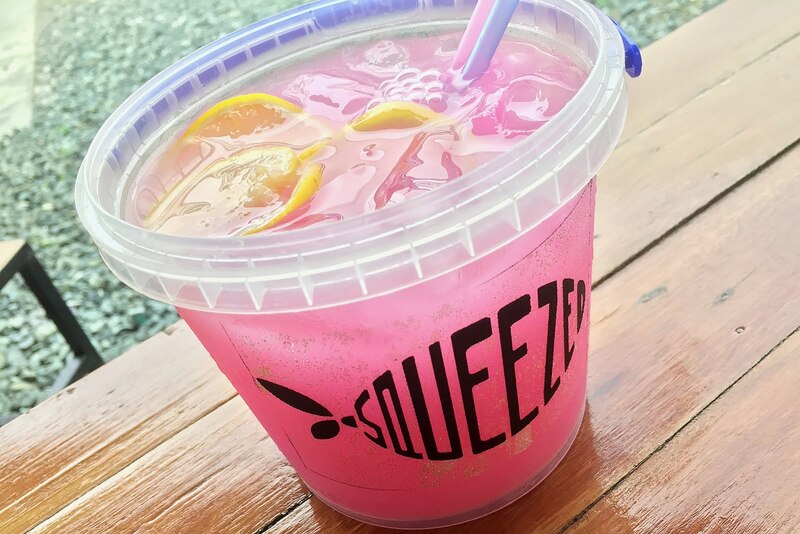 Btw, Squeezed also sells lemonade juice in a Fish Bowl for P140, and a regular one at P60. I suggest ordering the cheapest so you don't waste money like I did. Lol. Kidding. 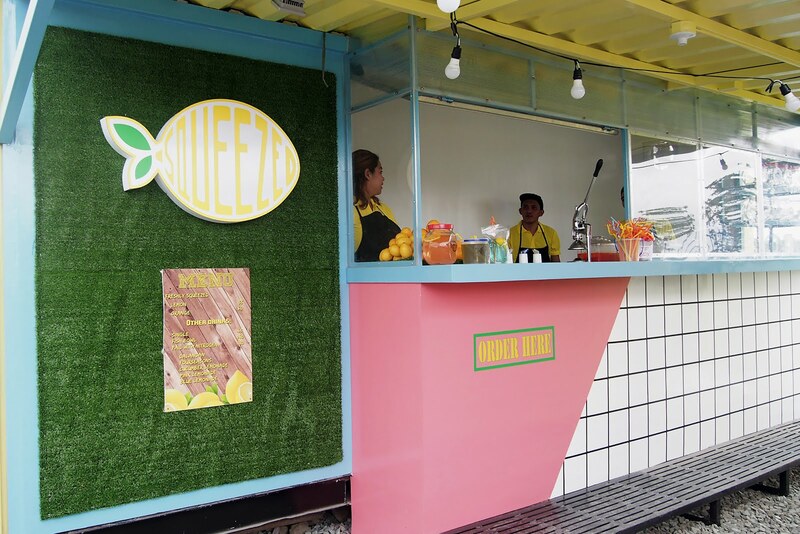 Honestly, I don't think I really have to post about South StrEat coz I'm sure people will really go and visit the food park. Nonetheless, if you haven't heard of it and have found the place through my blog. Your welcome. Haha. Btw, the park is not as big as I expected and we arrived at the place at around 1 or 2 pm? There weren't that many people yet but come night time you might have a hard time finding a table. Anyway, if you've been here already let me know and do share with me the ones you've tried. If you have recommendations I'd love to hear it. I'll try them when I go back. I have yet to take a flatlay photo. Lol. See yah on my South StrEat come back post!